As America’s culture of convenience continues to flourish, single-cup coffee makers have become increasingly popular among coffee drinkers. 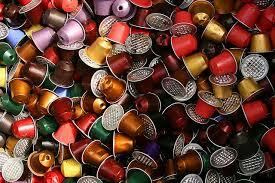 But beneath those expedient one-cup coffee pods lies a growing environmental problem. With New Rochelle being a fast paced, suburban environment, it is a prime market for these kind of convenience driven machines. Approximately 13% of the U.S. adult population drinks a coffee made in a single-cup brewer every day, according to a 2013 study from the National Coffee Association. That’s up from only 4% in 2010, said Joe DeRupo, director of communications for the NCA. But as consumers become more and more aware of the recyclability issue, single-serve coffee manufacturers are looking for more sustainable solutions. Green Mountain Coffee Roasters Inc., which acquired Keurig in 2006 and has since become the largest manufacturer of single-use coffee brewers in the country, has been struggling with the recyclability of Keurig’s K-Cups from the beginning. Like most single-cup coffee pods, K-Cups consist of a combination of plastic, aluminum, organic material (coffee grounds) and a paper filter. While all said items can be easily recycled separately, the K-Cup as a whole cannot be recycled on a municipal level. 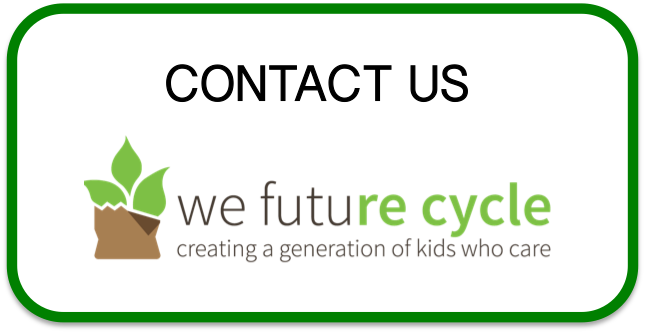 Since 2009, TerraCycle has partnered with various single-serve coffee manufacturers to provide recycling solutions for spent coffee pods. By teaming up with Tassimo, Mars Drinks, Nespresso and more recently Illy, TerraCycle has developed a customized take back program for each company that has helped divert millions of coffee pods from landfills across the country. Despite reaching out to the company multiple times, TerraCycle has not been able to develop a relationship with Green Mountain, Zakes said. However, that doesn’t mean the company isn’t working toward a solution on its own. In recent years Green Mountain has been looking for ways to use design to combat the issue of recyclability, Dupee said. “With the VUE [brewing system] we’re now in a polypropylene cup that you’re able to use the tab and peel out the filter, coffee and lid and recycle the cup. So that’s a great example I think of using design to try and improve; it’s certainly not the end game by any means, but it is a demonstrable step forward,” he said. All materials recovery facilities have different size limits for items they can accept, and whether or not the VUE cups are recyclable, they may not be recycled down the line, said Hilary Gans, facility operations contract manager with the South Bayside (Calif.) Waste Management Authority. “Because the items are so small, they typically wind up either as residue mixed in with broken glass in the glass stream, or they might wind up in mixed paper,” he said. Green Mountain is experimenting with various materials for a new, recyclable K-Cup, though nothing is in production yet. “We tried a paper-based tea portion pack probably two years ago, and it didn’t perform so we took it down,” Dupee said. In addition, the company has a pilot take-back program for its workplace customers where the coffee grounds are sent to a compost facility and the rest of the materials are sent to a Covanta Energy Corp. waste-to-energy facility. Green Mountain recovered more than 7.5 million portion packs since the program began in July 2011, Dupee said. Incineration, of course, doesn’t sit well with many environmentalists who often fight against new and old WTE facilities. The question remains whether the convenience of single-serve coffee systems is worth the overall environmental impact. As New Rochelle citizens are paying for their garbage removal, whereas recyclables are not only tipped for free but also generate substantial income to Westchester County, in the order of $750,000 per month, these so far non recyclable items, with a growth rate of 4% a year are costing us dearly. Westchester does not landfill its garbage, it is being burned up in Peekskill. Burning plastics has a slew of problems associated with it. And all of that, for a quick convenience? Is it truly worth it?